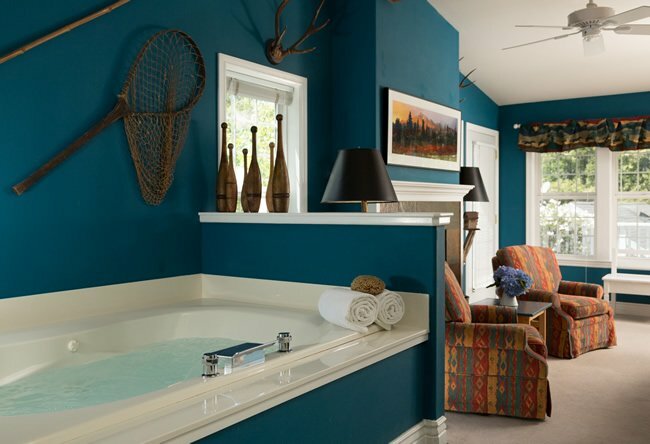 The outdoors create an inviting tableau indoors in this wonderful lodge-themed guestroom that pays homage to the Sonoma woodlands. 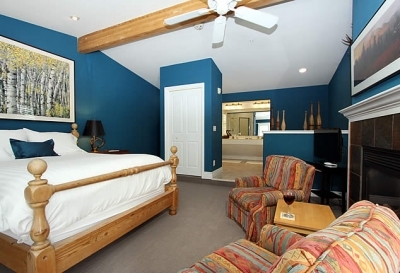 The queen-sized bed is both cozy and comfortable. 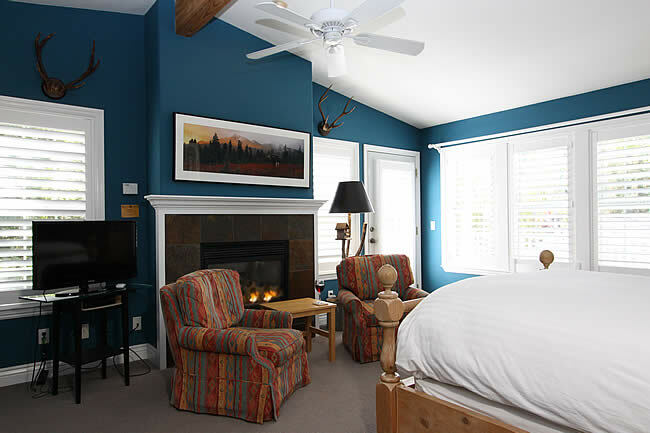 Lighting the sitting area near the fireplace are birch-tree lamps (complete with birdhouses!) 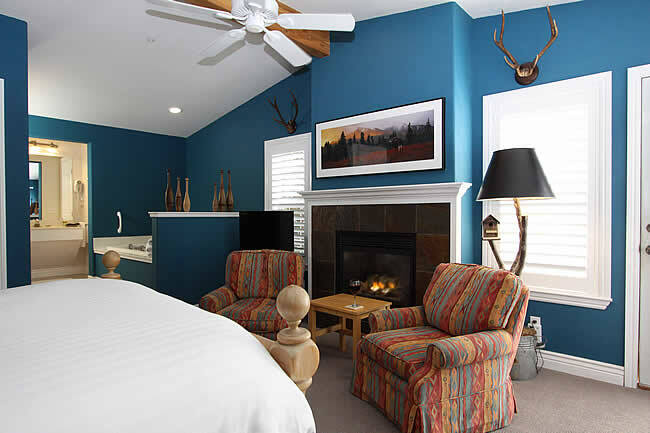 and elk-antler table lamps. 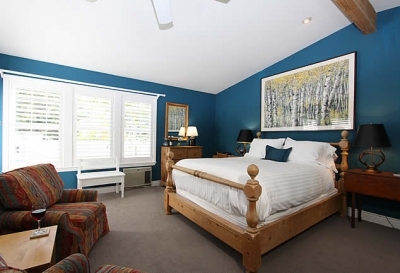 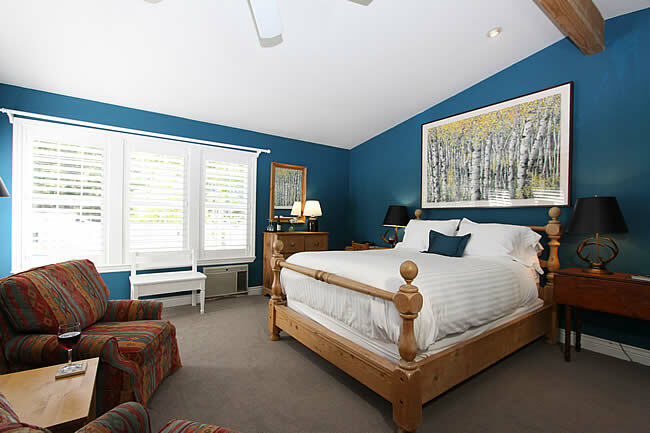 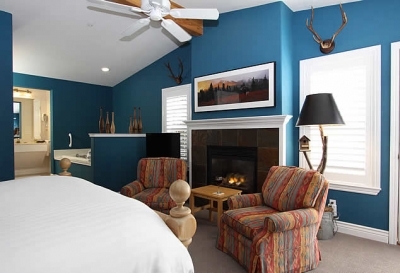 A watercolor painting of aspens dressed in their spring foliage hangs over the bed. 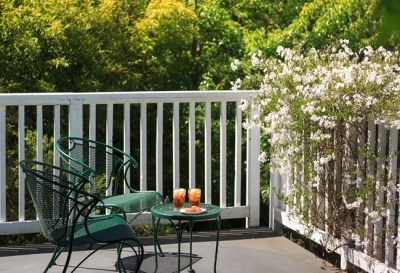 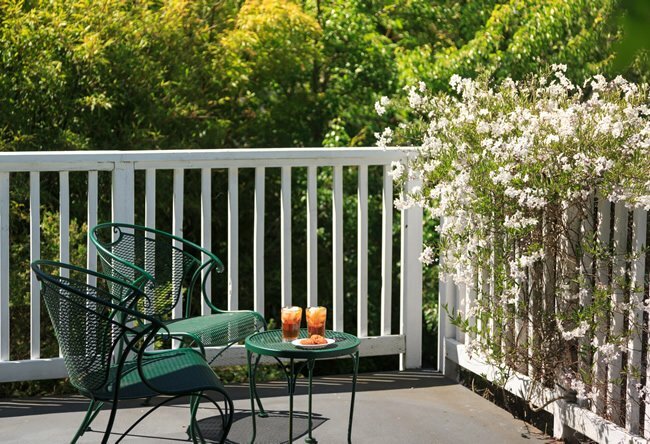 Walk through the patio doors to your semi-private deck to relax amidst views of the forested countryside.